The recently proposed Emergency Partner Credentialing System is a tool for securely speeding up the entry of private sector partners with supplies into disaster areas. The system is part of the Ohio Public Private Partnership (OP3), an intersector initiative that encourages information sharing and coordinated action among government, business and citizens in disaster situations. This initiative now comprises more than 175 businesses, government agencies, colleges and associations. OP3 was formed in the summer of 2012 after a series of storms left hundreds of residents without electricity, illuminating the need for greater coordination and collaboration. Like many disaster response initiatives, OP3 relies on what it calls “strong partnerships” across sectors to break down barriers to information exchange and improve outcomes during emergencies. SF72 is an example of a disaster preparedness initiative that similarly relies on partners from local government, nonprofits, community organizations and local businesses to create a collective culture of disaster preparedness. Voluntary Organizations Active in Disaster (VOAD) is another example of a local cooperative initiative among government, business and nonprofit stakeholders invested in the safety of Teton County. OP3’s proposed credentialing system will allow private partners to receive free credentials from Ohio Homeland Security, which will be stored in a shared database accessible to the law enforcement officers controlling access to disaster areas. 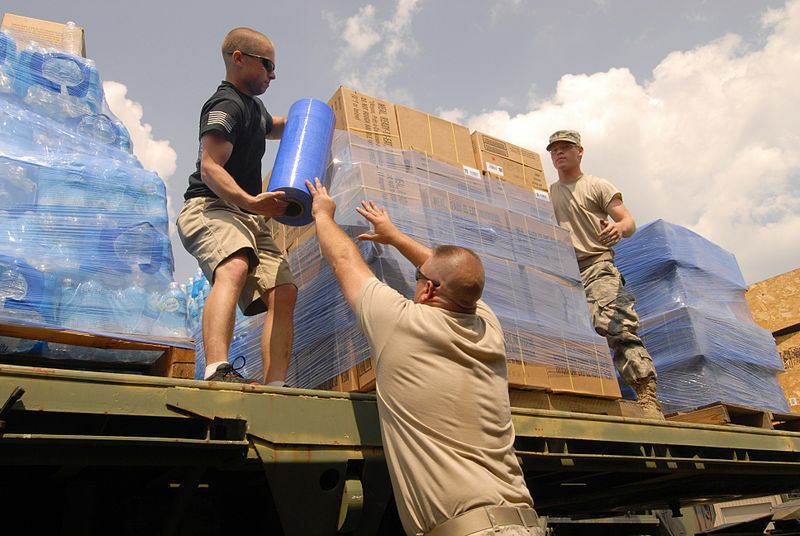 This database will enable officers to verify the credentials of individuals associated with these partners, leveraging OP3’s partnerships in order to provide medications, water and other crucial supplies to residents stranded in disaster areas. According to Born, some partners will receive the credentials for specific locations and events, while others, such as utility workers, will receive credentials allowing entrance in the event of multiple disasters. Ohio is currently recruiting private sector participants and plans to have the system in place by early 2016. Key OP3 stakeholders recently discussed the credentialing system at the inaugural Northern Region Conference for the Ohio Public Private Partnership (OP3) program, hosted by the Ohio Department of Public Safety. Leaders in public safety, emergency preparedness, emergency management and business continuity/disaster recovery convened to gather input and share best practices among partners. According to Born, a participant at an event similar to this regional planning conference suggested the idea for the credentialing system last year and technology staff developed the credentialing system for the state of Ohio. Each sector brings unique resources and assets to OP3. The business and nonprofit sectors have essential supplies, but the public sector has the authority to ensure those supplies are delivered. The credentialing system acknowledges this interdependence and builds upon the strength of multiple stakeholders. This echoes a tactic The Intersector Project Toolkit refers to as communicate the interdependecy of each sector, which refers to the development of an understanding among partners of each sector’s unique contributions and the recognition of their differing expertise, resources and networks. Conveying the benefit of working with other sectors can foster continued participation in the collaboration and commitment to results. Collaboration partners possess differing expertise, resources and networks related to the issue at hand. A business sector partner may have access to proprietary information or financial resources not readily available to other partners. A nonprofit partner may have singular policy- or community-related expertise, while a government partner may have unique authority to design or implement the initiative. By facilitating processes through which partners come to clearly understand how the resources of other partners directly influence the collaboration’s capacity to achieve its goals, the collaboration increases the likelihood that partners will value others’ contributions and commit to the collaboration. If the collaboration fails to establish this understanding among partners, partners may withdraw from the process when compromise is required, viewing the issue at hand as solvable without the involvement of other sectors. The discussion and exchange of knowledge that OP3 fosters not only allows the state to better manage resources and responses in disaster, it also holds the promise of contributing to cross-sector understanding as partners learn more about others operational needs and capabilities.